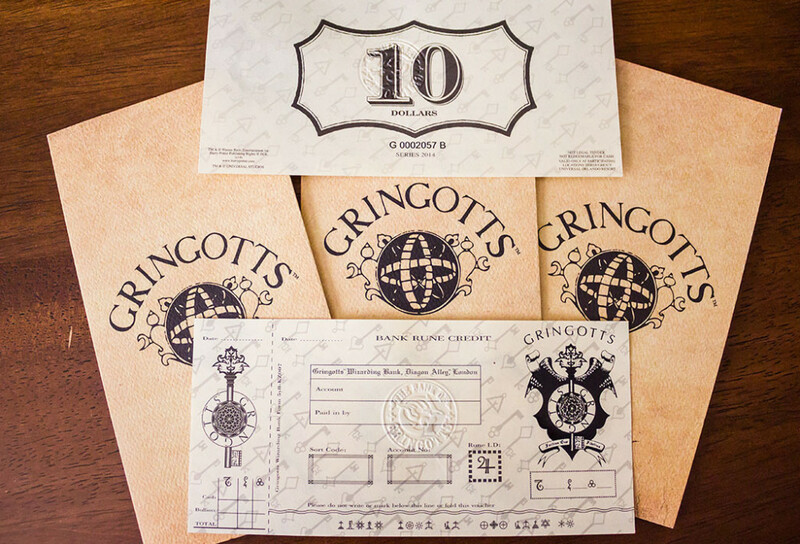 Have you exchanged your Muggle currency for Wizarding World money (Gringotts Bank Notes) at Gringotts Money Exchange in the new Diagon Alley? 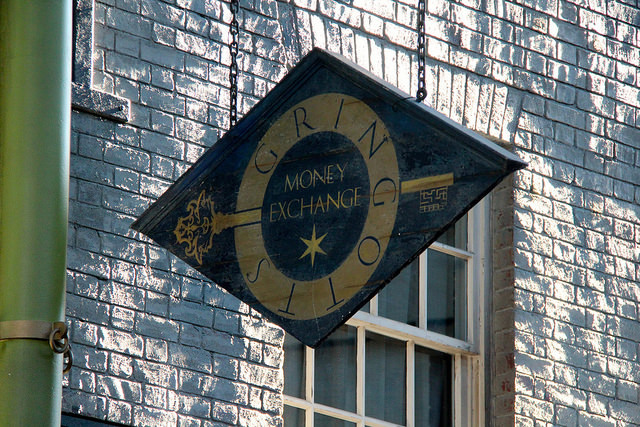 Gringotts Money Exchange is separate from Gringotts Bank. 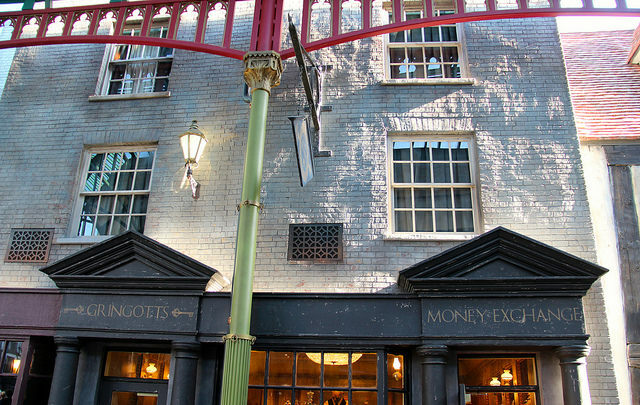 In this location you can exchange your Mugle currency to official Gringotts Bank Notes. $10 and $20 notes are available. This currency can then be used at various places around Universal Orlando Resort or kept as souvenirs. Other Gringotts merchandise can be purchased here as well. The goblin at the desk will interact with you while you’re in line! This attraction is located in Carkitt Market between Wiseacre’s and the show stage. Here’s a video of my daughter exchanging some of her money for Gringotts Bank Notes.